Sean Rambo is a Co-Founder of Compass Surgical Partners. Sean Rambo has been in the ASC industry since 2000 and is recognized nationally as a strategic healthcare operator. 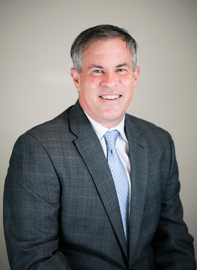 As a senior executive with Titan Health Corporation, Sean oversaw all operations, including the management of all physician and hospital joint ventures for the Eastern US. Sean was instrumental in Titan’s successful merger with United Surgical Partners International (USPI). Prior to Titan, Sean held a senior management position with USPI, where he oversaw both operations and development in the Southeastern United States. Sean has also held a variety of financial operations roles in the ASC and healthcare industry, working with several renowned firms, including HCA and Perot Systems. Sean holds a dual Masters Degree in Business Administration and Health Science from the University of Florida. Sean resides in the Raleigh area with his wife and their two sons.